See my Zeiss DSLR lenses wish list and other wish lists at B&H Photo. 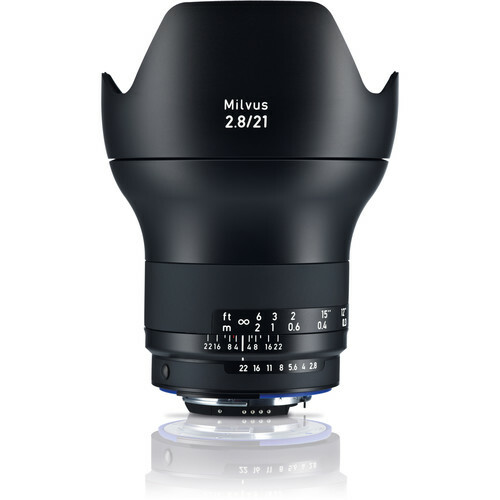 Get the new Milvus 18mm f/2.8 at B&H Photo. 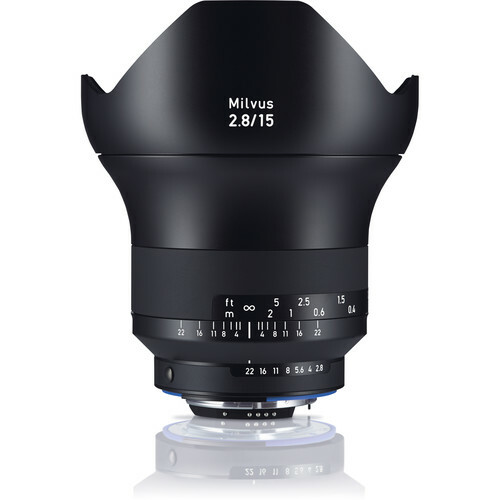 See also last year’s Understanding the new Zeiss Milvus Lineup. 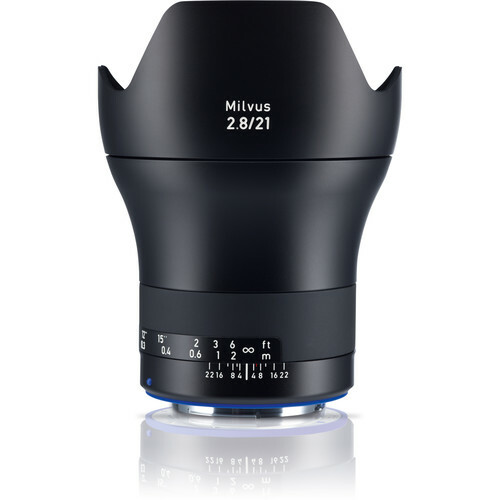 The new-new kid on the Milvus block is the Zeiss Milvus 18mm f/2.8, a long overdue all-new optical design that replaces the weakling in the ZF.2 lineup, the Zeiss ZF.2 18mm f/3.5 Distagon. Its size and weight and angle of view are just about perfect for landscape use: not so wide as 15mm, but very wide and thus more applicable more of the time. It is a lovely match to a Nikon D810 in terms of size/weight/balance; it feels right at home on the D810. Very high performance, the Milvus 18mm f/2.8 promises via its measured (not just theoretically computed) MTF numbers to match or outperform the Leica 18mm f/3.8 Super-Elmar-M ASPH. Now that is a proposition I like, since the Leica 18/3.8 SEM has been one of my favorites on Leica M. See the full MTF series below. 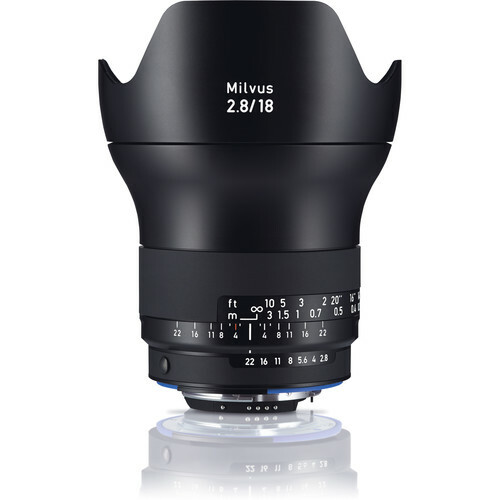 The Milvus 18mm f/2.8 looks to match and maybe even beat (very slightly) its superb Batis 18/2.8 sibling (the MTF is close enough that this is a sketchy proposition, but on the whole the Milvus looks to have a slight edge). But a bonus is that the Milvus 18/2.8 has substantially less distortion than the distortion of the Batis 18/2.8. That matters, because if distortion must be corrected, it drops the MTF (because of pixel stretching). 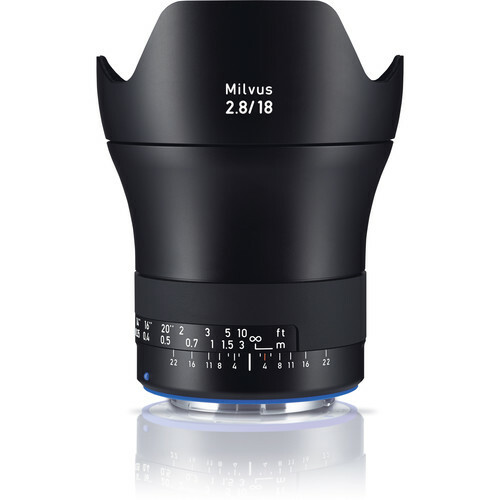 The Milvus 18/2.8 is a substantial 2/3 of a stop faster (brighter) than its f/3.5 predecessor. Shooting at dusk, f/2.8 is a big improvement over f/3.5, whether using the optical viewfinder or Live View. Vastly higher performance (see MTF chart for Milvus 18/2.8 and MTF for ZF.2 18/3.5). Greatly improved distortion, reduced in amount and of much more visually manageable barrel type instead of the wave-type of the ZF.2 18/3.5 predecessor. Vignetting at f/2.8 that is of the same character as its f/3.5 predecessor, but at f/3.5 it has significantly more even illumination. 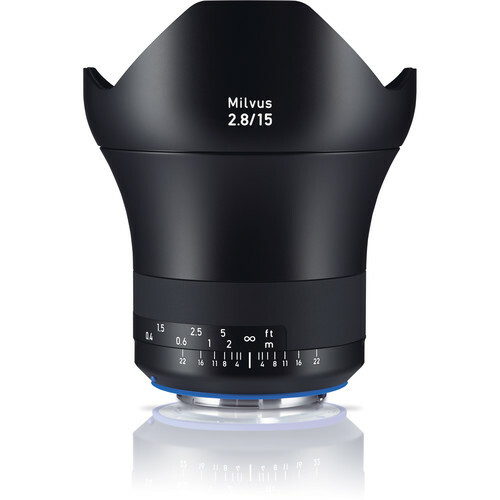 MTF across the aperture range is discussed on the MTF page for the Zeiss Milvus 18mm f/2.8 in Guide to Zeiss. Plain barrel distortion (excellent, easy to correct) and of a relatively minor amount for an 18mm—superb in total. Vignetting is 2+ stops at f/2.8, and about one stop by f/5.6. 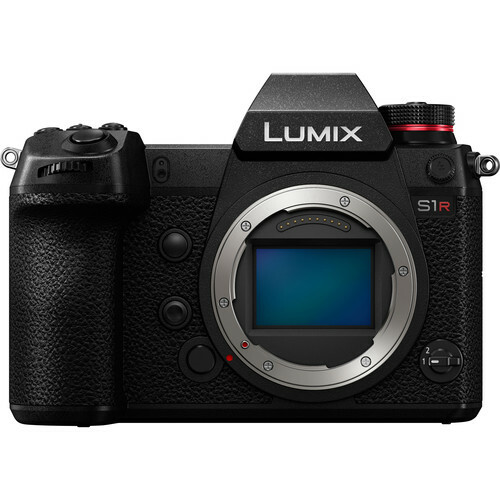 This is about what one expects for a DSLR or rangefinder lens.